How Can Cannabis Be Beneficial for Your Brain Health? Cannabis – the most popular yet illegal plant in the world right now. Also, the plant that has been gaining more and more voices for its legalization all over the world. And while some countries do support its usage and have made it a legal plant to enjoy, still the number that have not is bigger. What is your opinion towards the usage of cannabis? Have you tried it? And do you believe that it does have the well-known beneficial effects and the potential side effects? We all know that cannabis affects our brain, but do you know how? Would you believe if we tell you that there are potential beneficial effects on your brain? Let’s see if your opinion will change after the following article. 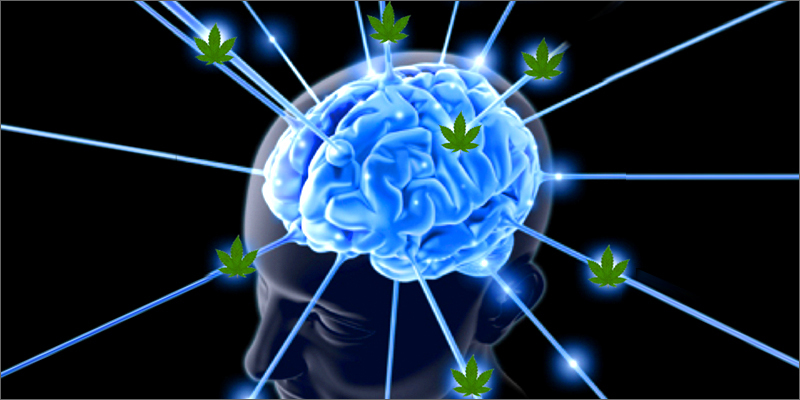 What beneficial effects does the cannabis have on your brain? Cannabis helps brain growth – If you did not know, our brain continues growing throughout our life – a process known as neurogenesis. Certain factors can harm and slow down this process, but there are also well-known factors that will do the opposite, meaning to boost this process. One of those factors is a chemical substance contained in cannabis known as cannabichromene (CBC). Cannabichromene is considered to boost neurogenesis, helping new brain cells to be developed. A study published in the Journal of Clinical Investigation suggested that cannabis is the only drug that can promote neurogenesis after certain damage to the brain has been done due to chronic use of alcohol, nicotine, cocaine among others. Cannabis can protect your brain against chronic stress – Although it may not be the obvious choice for a product that can show you different ways to improve memory, cannabis does have certain benefits towards protecting your brain against stress. Chronic stress is something that unfortunately we all suffer from as a result of our long and busy days spent at work. Stress is a major factor that takes place in the development of depression and anxiety. 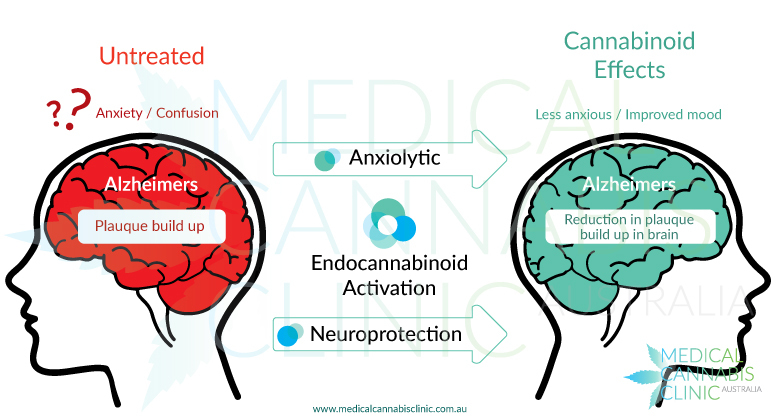 It is believed that the cannabinoids contained in cannabis protect your brain and prevent damage that commonly occurs as a result of stress. Plus, if you already suffer from stress, why not try the potential beneficial effects of relaxing and calming your body and mind with the use of cannabis? Cannabis can fight different types of brain cancer – According to a study published in the Oncotarget – the Open Access Impact Journal, the cannabinoids contained in cannabis have an anti-proliferative effect on different types of tumors. Another study published in the Journal of Clinical Investigation showed that tetrahydrocannabinol, the main product of cannabis, has the ability to kill human glioma cells by boosting the process of autophagy. Cannabis can help slow down the progress of Alzheimer’s disease – Unfortunately, we all know too well the leading cause of dementia among the elderly – Alzheimer’s disease. Although cannabis is not often considered able to improve memory, a study published in the Molecular Pharmacology showed that the tetrahydrocannabinol contained in cannabis can actually slow down the progress of Alzheimer’s disease. But how? THC, which is the active compound found in cannabis, as we mentioned before, was found to have an ability to bind with certain enzymes and then block those that create the amyloid plaques characteristic of Alzheimer’s disease. Cannabis can help control epileptic seizures – A study done by Robert J. DeLorenzo from the Virginia Commonwealth University showed that cannabis can actually help prevent and control epileptic seizures. Once again, it is tetrahydrocannabinol that we should thank. THC binds to the brain cells which are responsible for controlling excitability and regulating relaxation and through that THC helps control epileptic seizures. Although there are not any clinical trial done on humans, Robert J. DeLorenzo – the lead author on this study, achieved success when he did a clinical trial on rats which did not experience any epileptic seizures for 10 hours after receiving cannabis extract and synthetic cannabinoids. Cannabis can reduce anxiety – If you are experiencing anxiety and you are in a country where there is medical cannabis available then you might think about giving it a try. Why? a study done by researchers at the Harvard University suggested that some of the compounds in cannabis have the ability to reduce anxiety and improve your mood. Cannabis can lower the pain caused by Multiple Sclerosis – THC is considered to bind to the receptors in the nerves and muscles and through that, it helps lower the pain caused by Multiple Sclerosis. A study showed that 30 participants did not have any success in lowering their pain due to Multiple Sclerosis, however, after smoking cannabis for a few days, they felt a relief of pain caused by muscle contractions. Cannabis can help relief the symptoms of PTSD – Cannabis is already used in some cases of PTSD because of its ability to provide a relief of the symptoms of PTSD. As we mentioned before, cannabis can lower anxiety, but it can also help with the irrational fear that the PTSD patients face. Would you ever try smoking cannabis? Do you believe in the promised beneficial effects of cannabis on not only your mood but your brain health in general? As it turns out, cannabis has many beneficial effects regarding your brain. Apart from enjoying your good mood and feeling relaxed, cannabis can help you to relieve the pain caused by multiple sclerosis, slow down the progress of Alzheimer’s disease, protect your brain from different types of brain cancer, lower the levels of chronic stress, etc.